Good afternoon everyone! I hope all has been well! 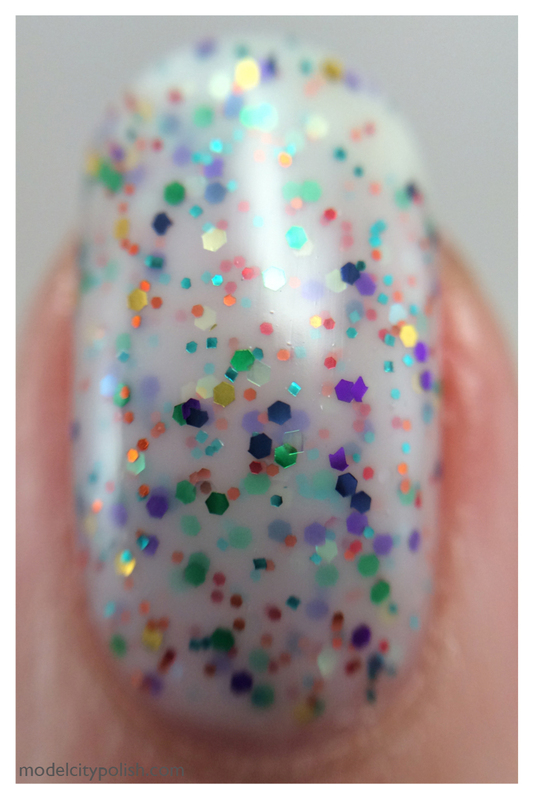 I’ve been super busy with all of the wonderful holiday projects and today I’m going to share a polish inspire by one of the favorite things about this year, the Christmas Tree! 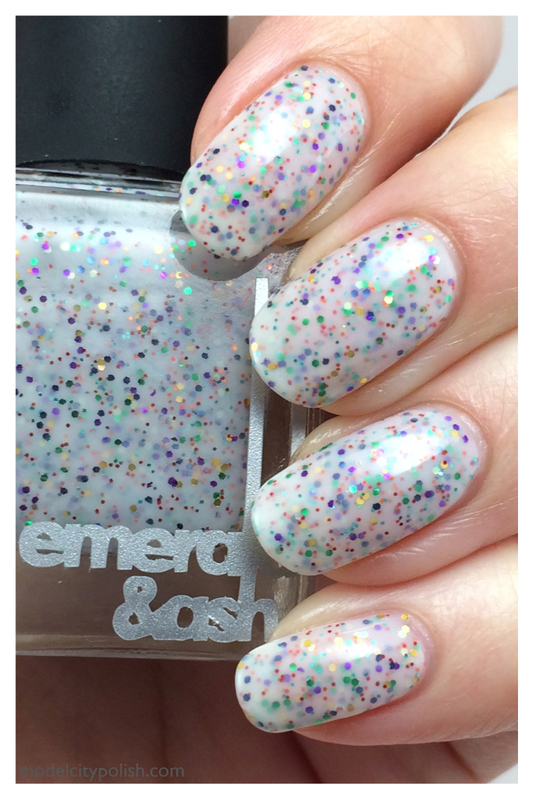 I have been a huge fan of Ashley’s, the creator of E&A, tree and when she made a polish based off of it I knew I had to have it! 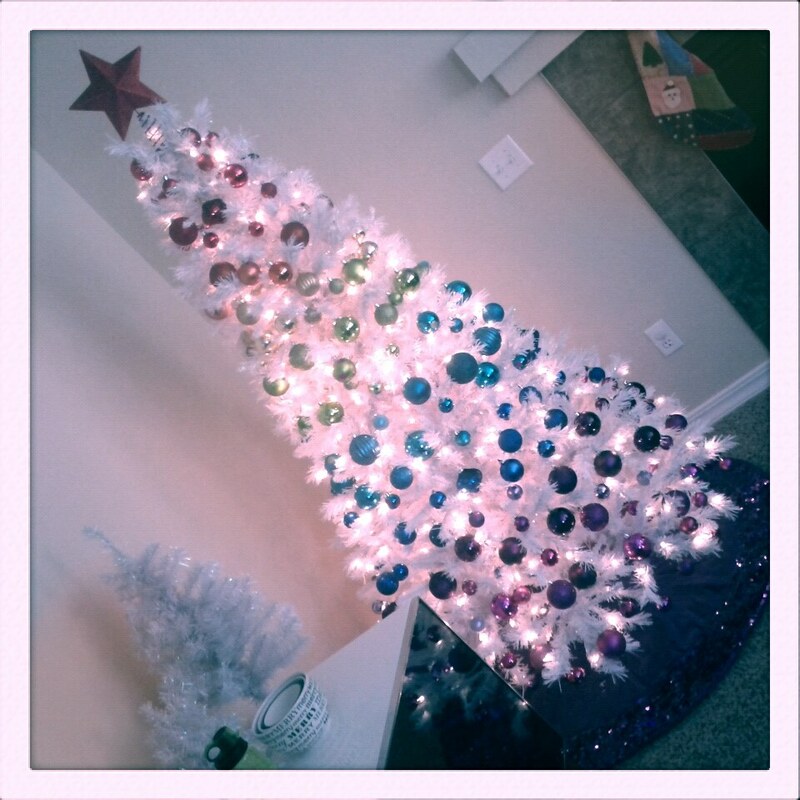 Wanna see a pic of the tree? Isn’t that a pretty tree?! Regenbogen-baum stands for rainbow tree in German and is the perfect name for this blend. 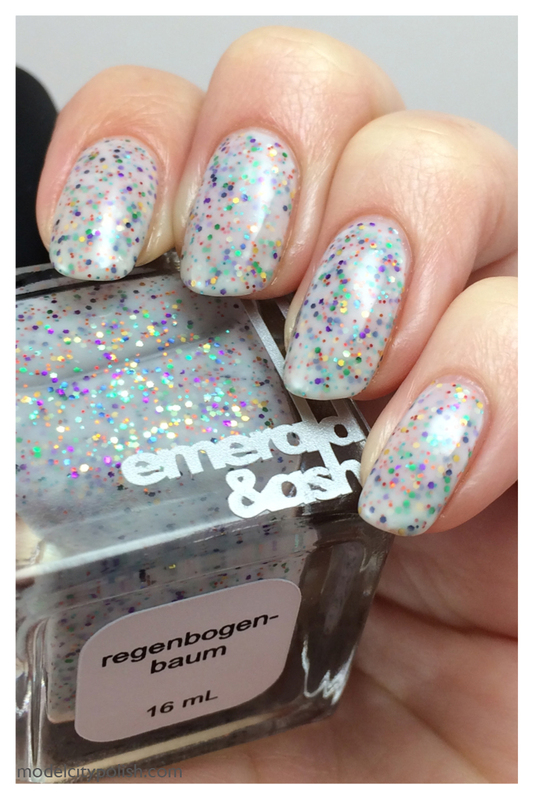 Regenbogen-baum is a white crelly blend packed with two different sizes of various colored glitters. 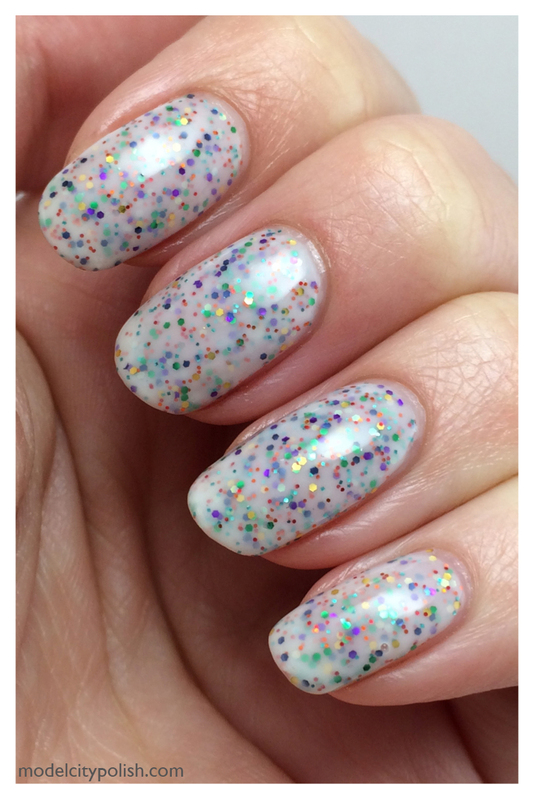 Application was amazing and the glitter had no clumping issues. I used three coats in my photos and a good coat of Gelous to smooth it all out.